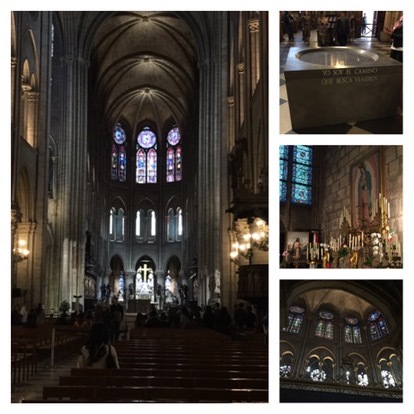 Today we started out our morning with a visit to Notre Dame cathedral. 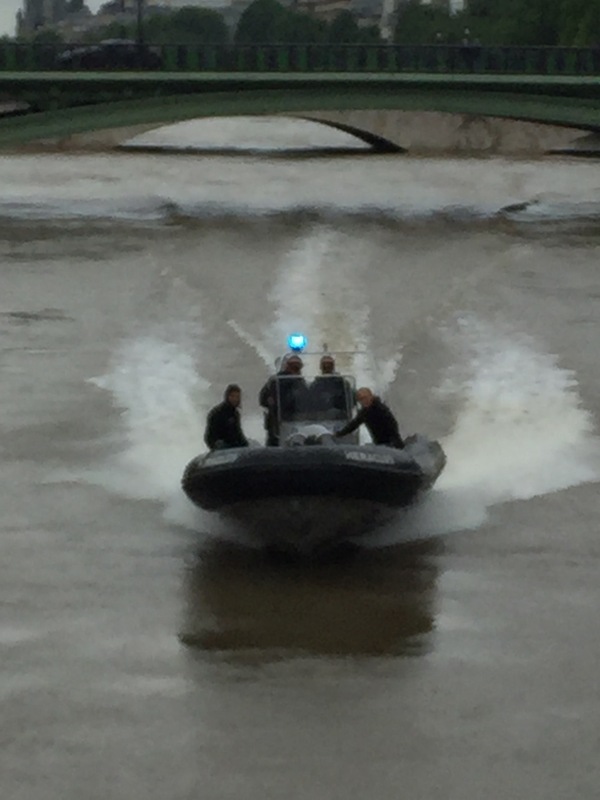 On the way, we saw police boats speeding down the Seine River. The flooding in the city has become a national disaster. So much so that the Louvre, and most other museums had to close their doors to rescue exhibits that were on low floors. 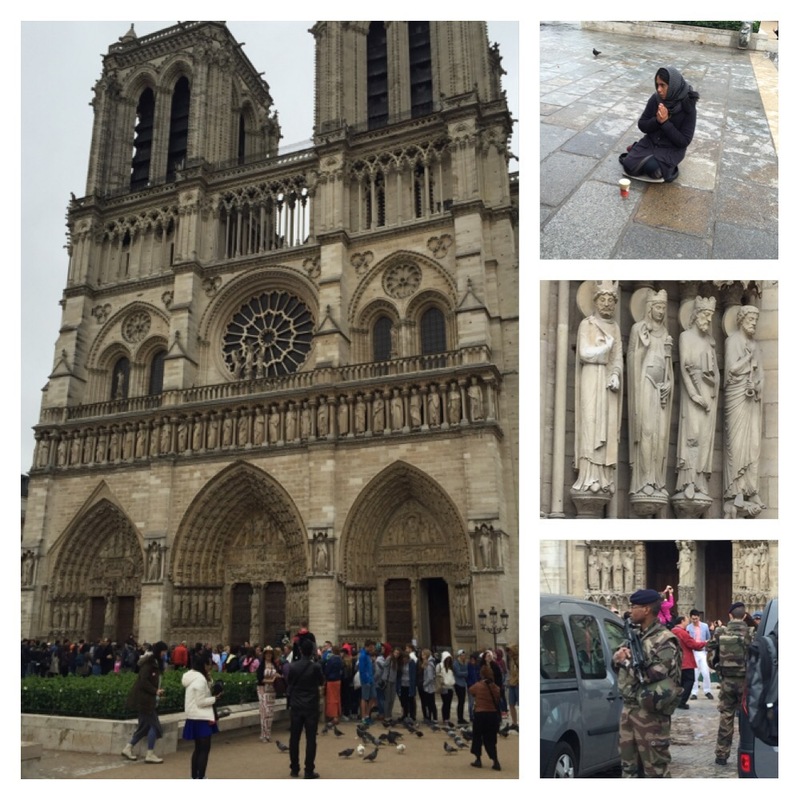 When we arrived at Notre Dame,the gypsies were out in force and there were guards, dressed in camo, holding giant machine guns. The line was already 50 yards long, but it moved surprisingly quick. This place is just stupefying. I plan, before the summer is over, to reread Hugo’s amazing novel. (The Hunchback of Notre Dame) I can’t wait to soak in the care that Quasimodo gave his bell tower, and to revisit the intimate details he shared throughout. To do this with my visit so fresh in my mind will truly make it come to life. In any case, the cathedral is beautiful. I stared at the outside, at the creepy gargoyles, who’s job are surely more than just gutter tools. Surely they are there, as I read somewhere years ago,to ward off evil. Certainly in Hugo’s great work, they were at least something as freakish as poor Quasi. In any case, the sculptures certainly were unique in creating these creatures. I was so excited to find a wonderful replica of a gargoyle to bring home. Hopefully it doesn’t send my suitcase over the weight limit! The inside of the Cathedral is a place of beauty, silence, prayer, history, and inspiration. The stained glass windows are remarkable and the candles that are lit throughout provide a sense of peace. A sense that prayers are being sent and hope and faith is still alive. After leaving the Notre Dame, we headed toward a place called “Laduree”, which Simon has been raving about since we left London for Paris. This place is the “creme de la creme” of all macaroon shops, complete with hanging chandeliers, fancy boxes, and ribbons. When we got there, I couldn’t believe how fancy it was! They had a host of flavor options including things like rose petal, raspberry, lemon, caramel, licorish or chocolate. I purchased two, for 2 euros each: lemon and raspberry. At the risk of sounding completely uncouth, I did not think that the fancy store macaroons were any better than the macaroons I purchased at a carnival style stand behind the Rue de la Paris. (The giant Ferris wheel). 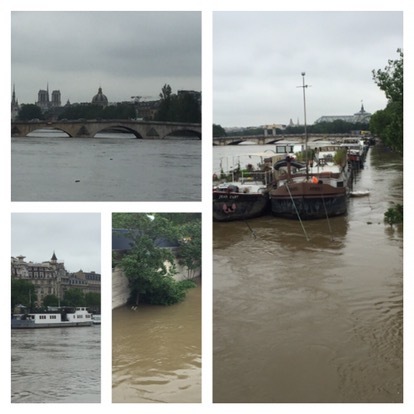 We wandered down to the Seine to see the mass flooding that is currently plaguing Paris. We ended up crossing over an impressive lock bridge, and heading to lunch in a small cafe. 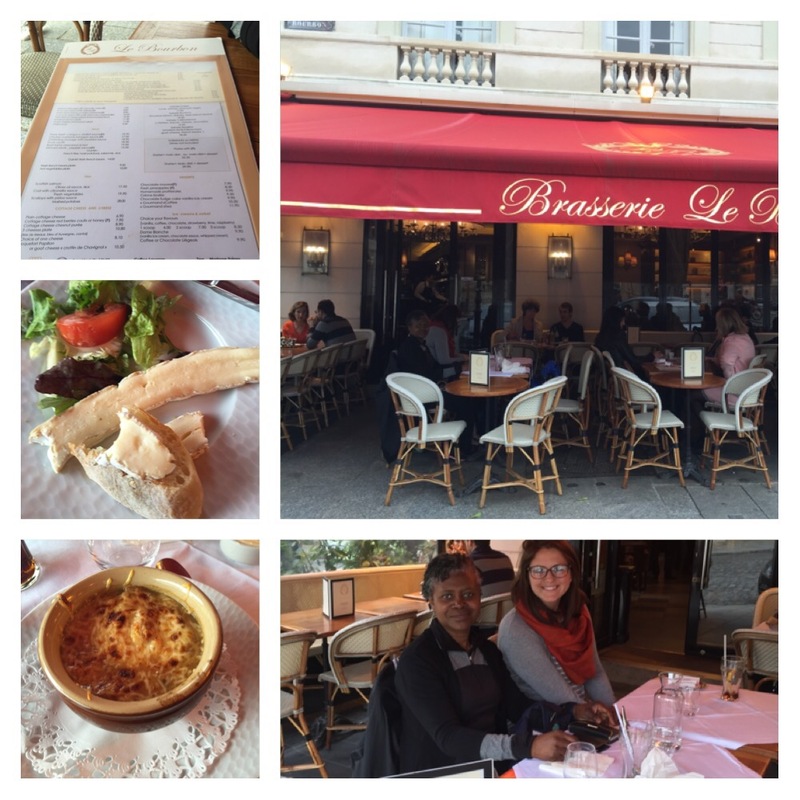 At lunch, I was thrilled to find French onion soup and a plate of Brie with bread. 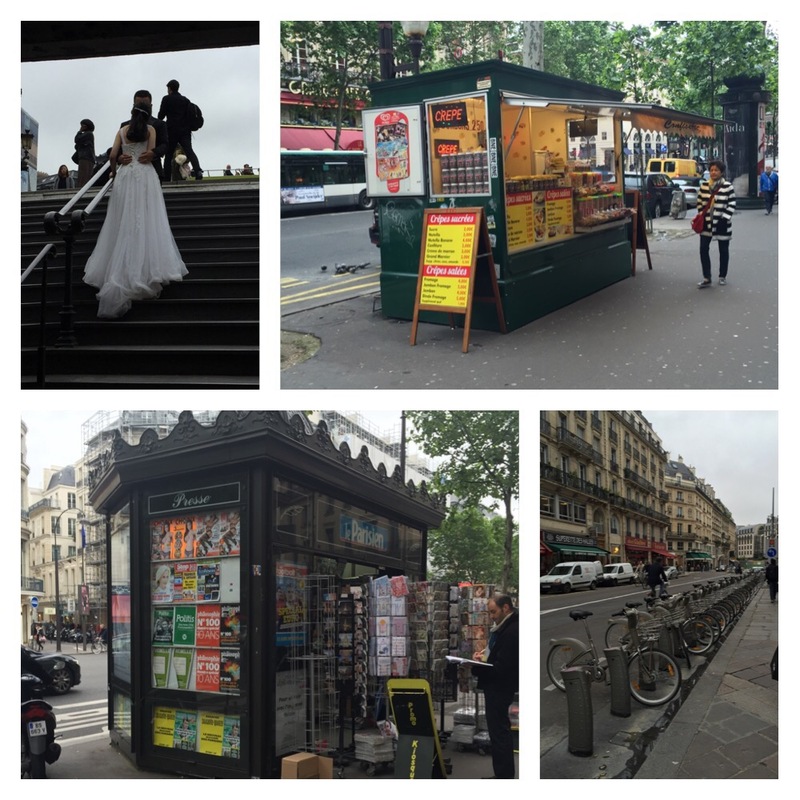 After lunch we spent the remaining time before dinner enjoying the streets of Paris. 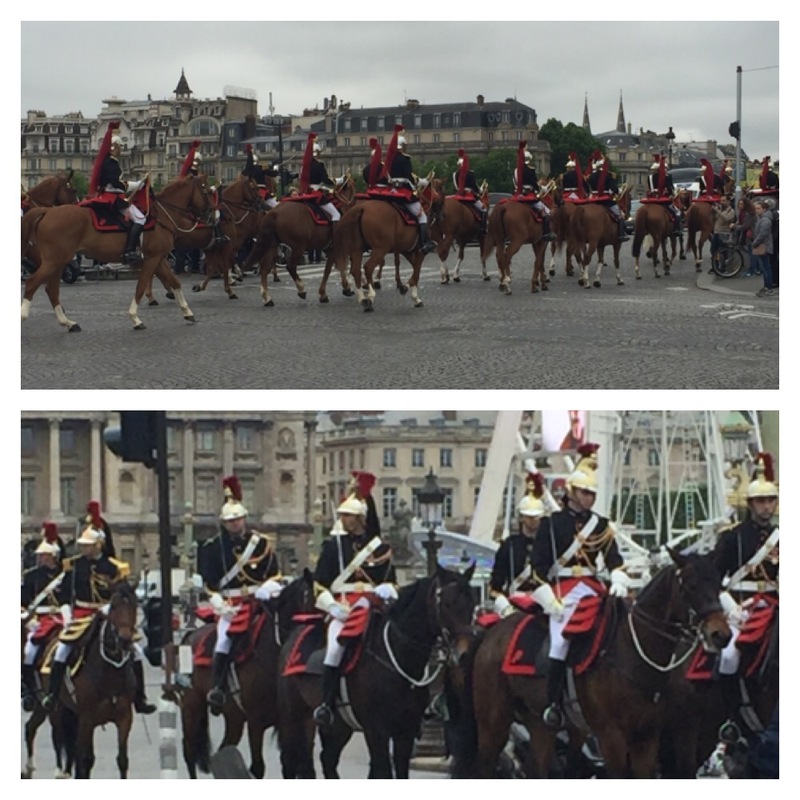 At one point, we saw a cavalcade of close to 100 French soldiers on horseback. We heard that the president of S Korea was in town, so the French were pulling out all the stops! After dinner, we rode the trains back to the hotel and called it a proverbial night! 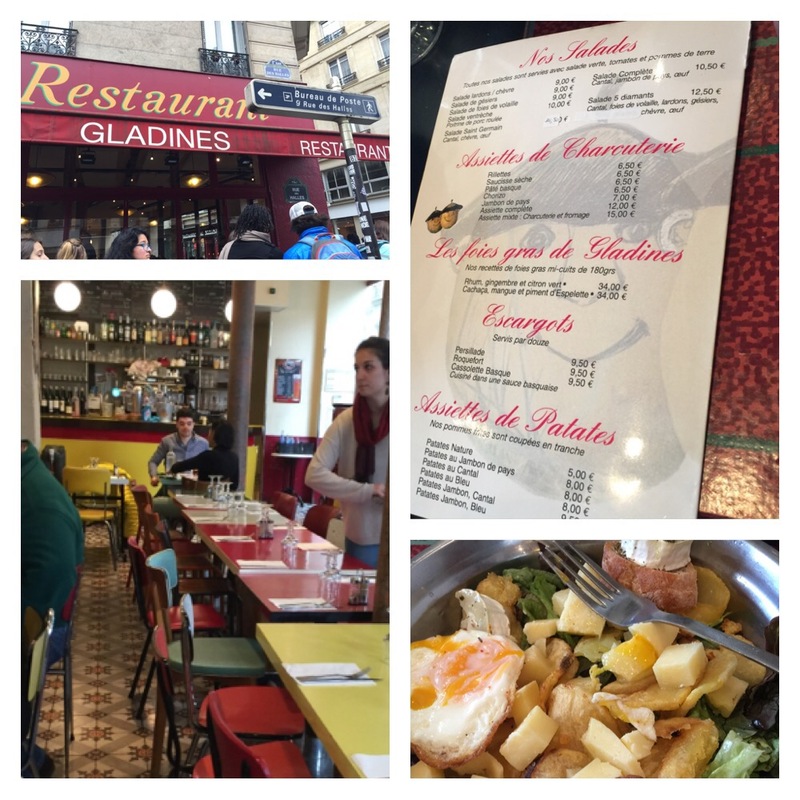 Tomorrow we get another 1/2 day in Paris before flying to Barcelona. Our train, the TGV, was supposed to get us to Barcelona in 2 1/2 hours, at speeds over 350 mph. Sadly, the floods and the workers’ strikes caused the cancellation of our ride. Tomorrow will hold new discoveries I’m sure!